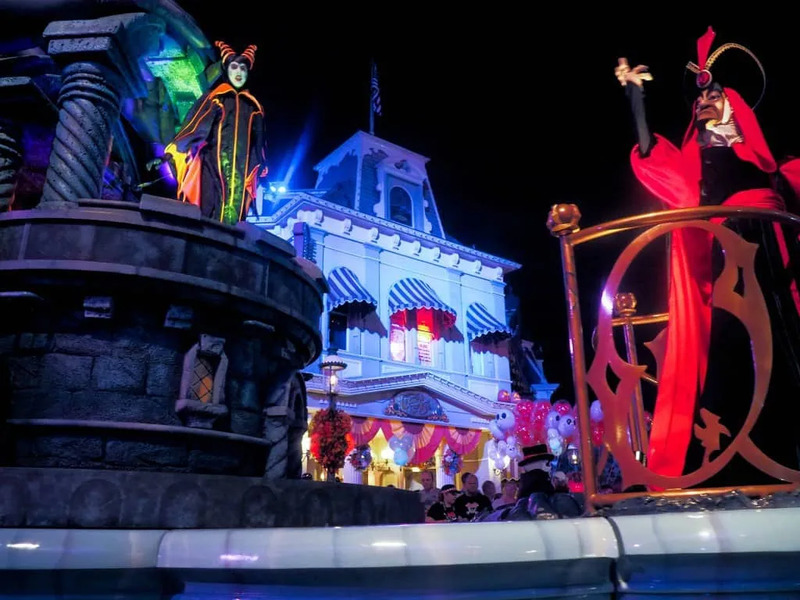 Spending Halloween at Walt Disney World is always a good idea. Unlike the later part of the holiday season, you don’t have so many crowds, you still have decent weather and frankly, it’s when the things that are MOST FUN finally happen. 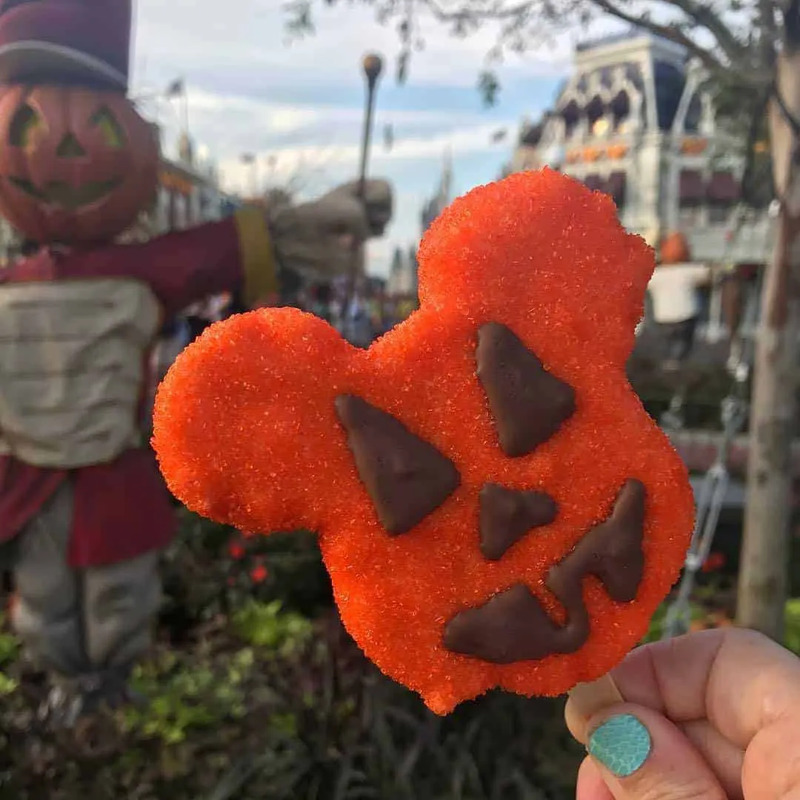 While we love all of Disney’s festival and parties year round, there’s nothing that quite compares to the outdoor kitchens at the Food and Wine Festival, the parade at Mickey’s Not So Scary Halloween Party, and the fall-themed treats all over the Disney Parks. 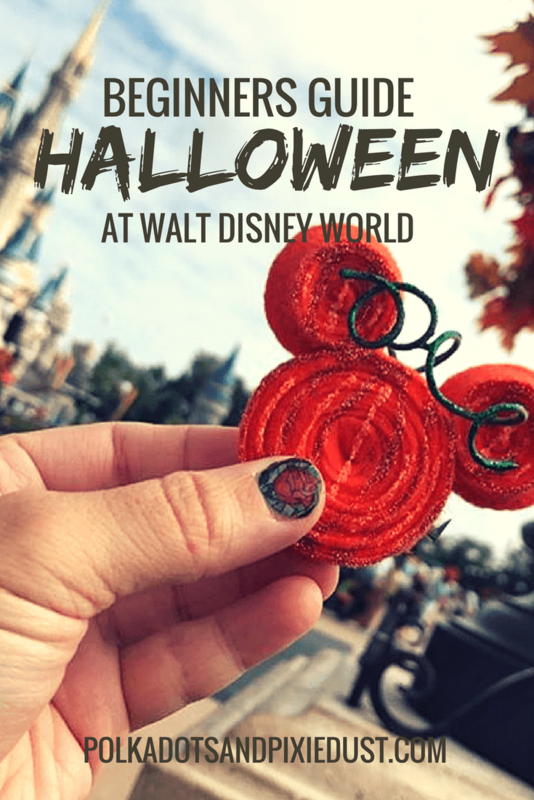 So what can you expect if you’re visiting Walt Disney World during Halloween? We write a lot about fall at Walt Disney World simply because we thinks it’s absolutely the most magical time of year! If you’re heading over to Disney this fall, here are 10 things you should know that are happening all over the parks. Hopefully this will help you take a quick look at all there is to offer and then choose what you think you’ll definitely want to make time for on your trip. The Main Street Trolley singers get a magical fall overlay to their usual dance and song with fall themed songs, costumes, and decorations for the trolley. This is a free show that pops up on Main Street USA in Magic Kingdom every day. Check out the Main Street Trolley page for the details and add this to your plans. It’s totally worth it, cool to see and a nice more up-close treat than the larger than life castle shows. 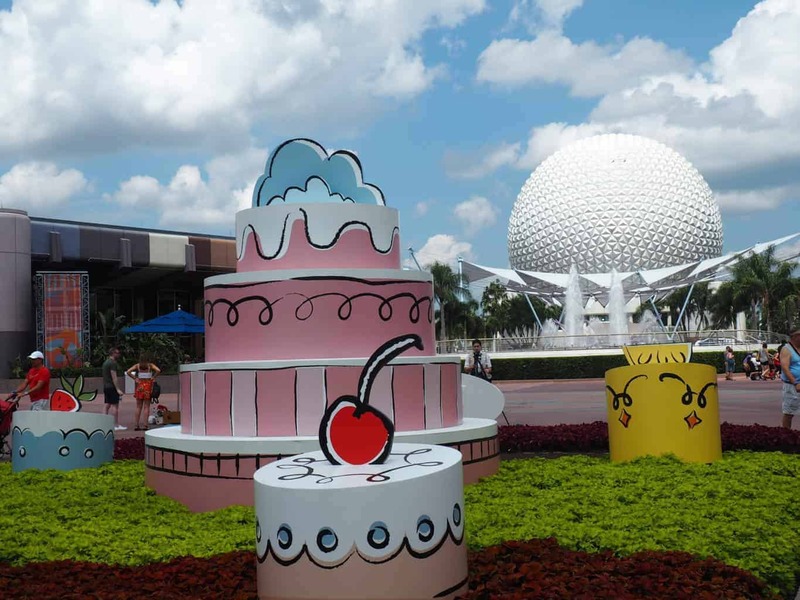 If you’ve never been to this event, check out our tips for the Food and Wine Festival and if you’re travelling with kids there’s a whole slew of things you should know to make sure they have a great time with all the kid-specific perks of this event. You can also see the Eat to the Beat Concert Series, and take part in classes and presentations on food! Perfect for the family that cooks together. See some of our favorite foods from the past Food and Wine Festivals and check out this years food and wine festival menus here. Nothing says fall like caramel apples, pumpkin lattes and hot cider. Luckily every park usually has something special brewing in the kitchen for the fall menus and treat stations around the parks. 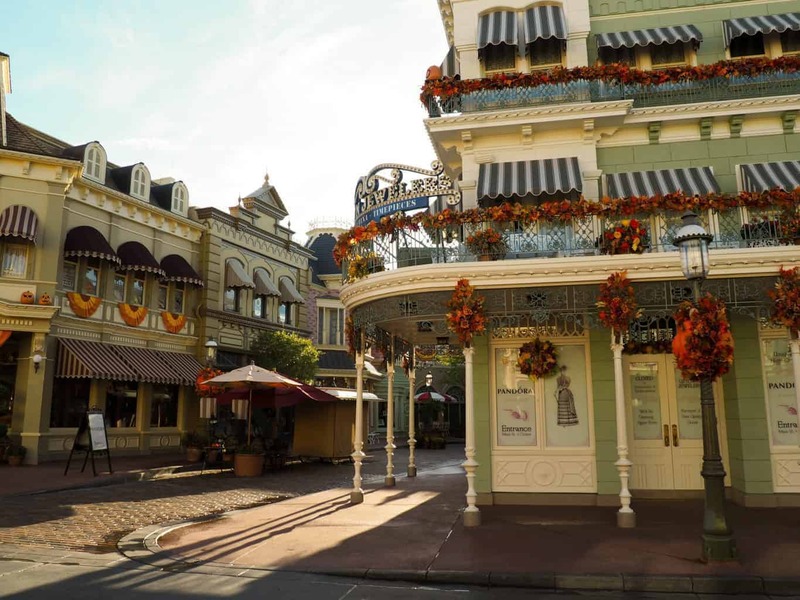 We love vacationing during the fall at Walt Disney World. Decorations can be found in the parks, and at the resorts. And if you’re looking for a free Disney day, hop aboard the monorail to visit the monorail resorts ( Contemporary, Polynesian, and Grand Floridian) for a look at how things can get extra spooky. Cost: 75-110/ person depending on the date, Magic Kingdom. We absolutely love this event, and even though prices tend to increase each year we simply cannot stop going! This hard ticket party closes Magic Kingdom to other guests who have not paid to be at the event at 6pm on select nights throughout the fall months. So watch the dates if you’re vacationing in the fall. You don’t want to have your Magic Kingdom day on a day when the park closes early for this party. 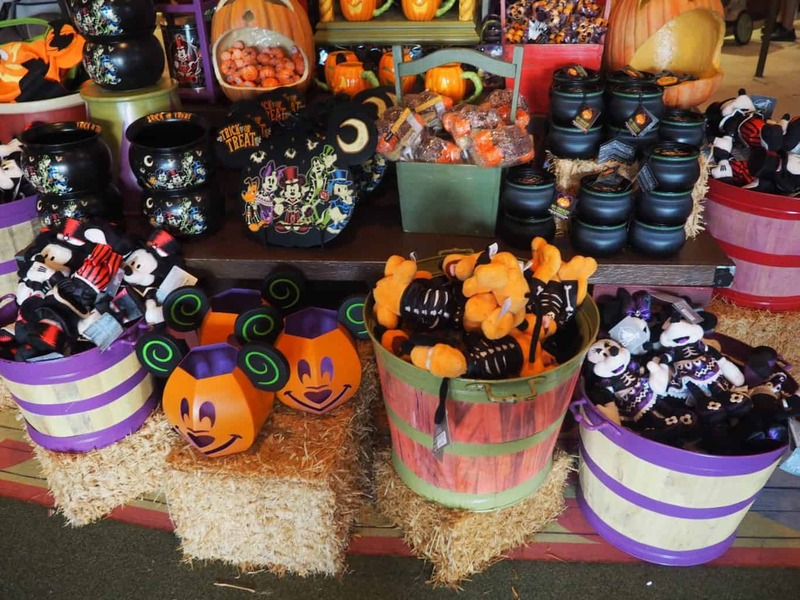 For all the details on Mickey’s Not So Scary Halloween Party, read our guide! We share treats, parade info, and strategies to get you around to your favorite in-costume characters before the night is over. One of our favorite parts of attending this party is seeing the Boo to You Parade. Need the tips and the lyrics? Check out our halloween parade post. Or you can check out the Hocus Pocus Villain Spelltacular Show, only able to be seen at the party. And be sure to dress up! Planning costumes for this party is half the fun! Disney has costume guidelines, but you can always pull together something low key and DIY your own creative outfit! 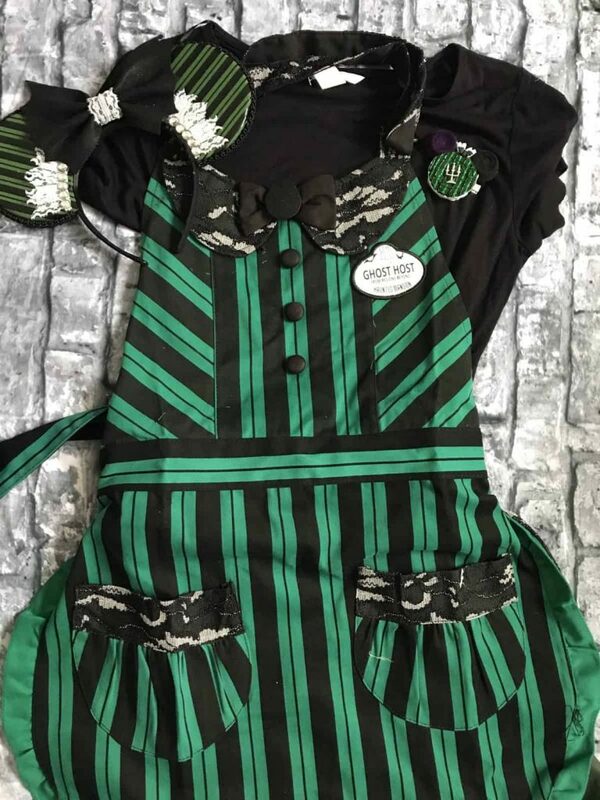 Check out our Haunted Mansion inspired costumes. This Fireworks show happens as part of the Mickey’s Not So Scary Halloween Party, but we pulled it out because you can technically see this without attending the party! If you want an up close shot just take the monorail to the Magic Kingdom gates and then find a spot on the ground to relax while you watch and listen. You won’t get the view of the castle but you will get the view of the train station and all the fireworks and music. You can also head over to the contemporary where guests can watch the fireworks from the balcony, or book an evening reservation at California Grill for ideal fireworks show viewing. Okay, so contrary to the haters of the online disney universe, we actually like Hollywood and Vine. While never a big fan of buffet dining, because its, let face it, very american to think that more equals better, we do totally understand that Disney is serving hundreds of different cultures and ages, so not every restaurant can be a unique foodie experience. It’s a buffet character meal restaurant, so all you care to enjoy… which sometimes makes up for the cost at 50 dollars a person and 30 dollars a kid. This is comparable with the non-special dining offerings at other character dining experiences so for the extra fun of pretty great characters in costume we like it as a one stop character meet and greet and dinner combined. Much like Akershus in Epcot Norway and Crystal Palace in Magic Kingdom, the thrill of getting all the character photo ops without having to wait in line for them at the Halloween Party ( which is the only other place you’ll see the fab 5 dressed up in costume attire) makes it worth it. No matter what you’re searching for Disney Springs will have something caramel flavored, pumpkin flavored, cinnamon flavored.. if it’s a fall flavor, you can bet it will show up at one of Disney Springs bakeries, cafes or restaurants. Be sure to visit Disney Springs to get a head start on your holiday shopping while sipping or munching something lovely. Cost: Ranges between 22-60/ per person depending on chosen experience. If you want to get cozy with the Headless Horseman and see the original Sleepy Hollow cartoon in the dark stables of Disney’s Wilderness Campground then you’re in for a treat. A one-of-a-kind experience, this event is creepy, fun and since it’s at the campground far removed from the theme park hoopla. A definite treat if you’re looking for something unique. The merchandise for Halloween begins arriving in September, and comes in full force once October hits. Special tees, for the party, passholders, and the new halloween season arrive alongside flavored popcorns, treats, decor, and stuffed animals. 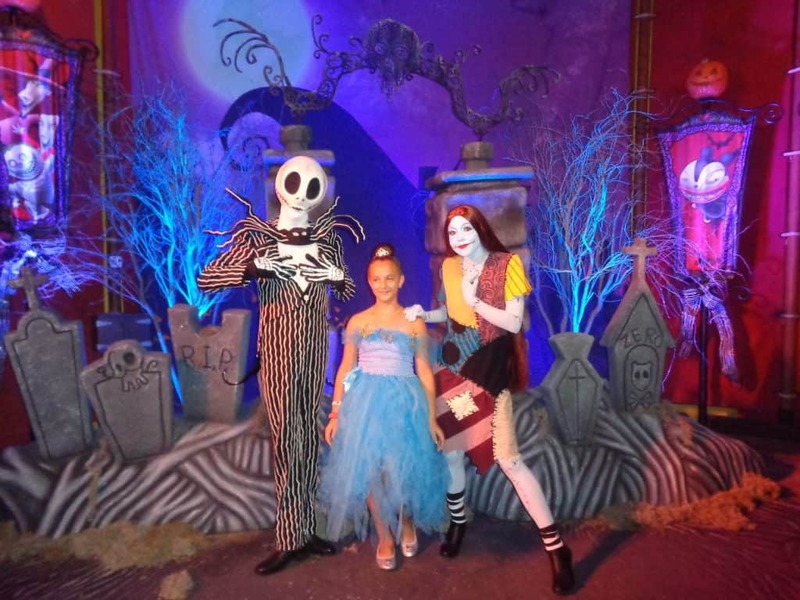 And if you can’t make it out to Disney for the spooky season, check out our post on how to have a last minute Disney Halloween Party at Home. Complete with movie checklist.